I’ve long been fascinated by the reflections and distortions in every day things, and particularly in water. I have learned a lot from each of you here at Smug Mug as over the years you’ve posted some amazing abstract photos. 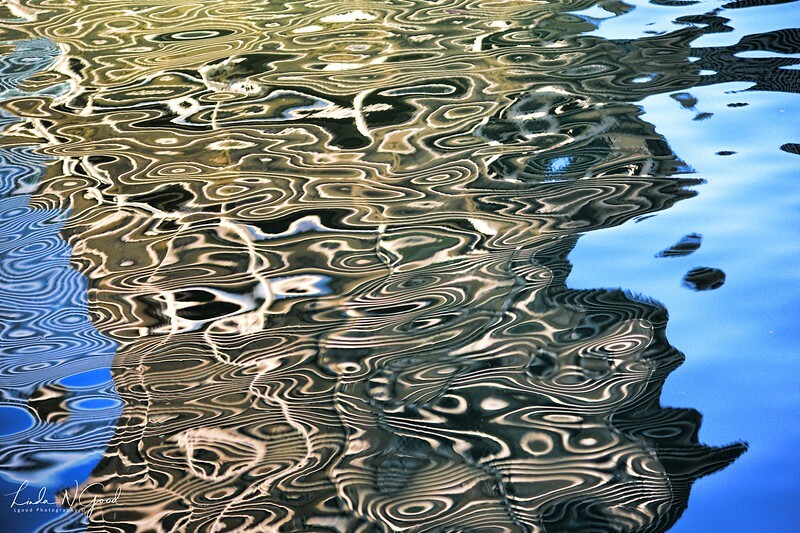 This shot is of the Chicago River and the distorted reflections created by nearby buildings. Thank you for your thoughtful comments and critiques, much appreciated. Extraordinary reflection, both in textures, lines and colours !! Just stunning an abstract ! Such color and variation in the design. Linda, this is a outstanding abstract, love the designs! Makes for a great abstract, well seen and shot! Great eye for seeing this. Now I'll remember to look down instead of up. Terrific shot. Fabulous abstract created from these amazing reflections! Love this one! The variations in colors really add to the image.